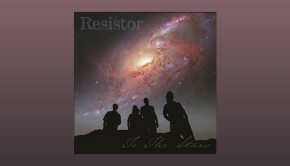 Much to my regret, Resistor is a band which had completely evaded my musical radar until I heard a 14 minute epic track which their main man, Steve Unruh contributed to The Samurai Of Prog album The Stories Of H.P. Lovecraft. I was immediately grabbed by one of the most distinctive voices I’ve heard for a long time – a fairly high pitched tone, occasionally drifting into falsetto, with very precise diction and frequently clipped staccato delivery. I’m guessing it might not be to everyone’s taste, but I really enjoy it, which is just as well because he carries all the lead vocal duties on this album and with this band that means an awful lot of words to be sung. 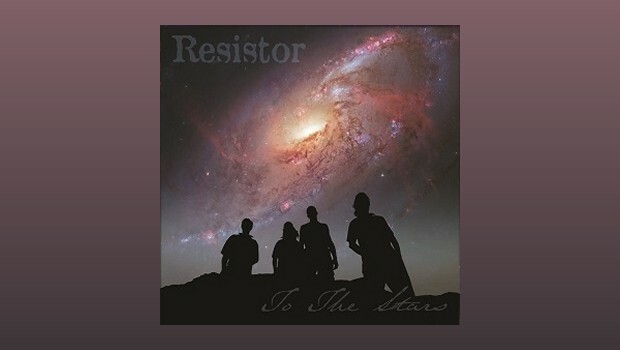 The subject matter of most of the lyrics (all written by Unruh) is, as the album title suggests, space exploration/astronomy, a subject which leaves me completely cold. I find, however, that the quality of his voice means that understanding or empathising with the words becomes secondary to the overall sound he produces. Fans of Jon Anderson era Yes will appreciate what I mean! The title track which opens proceedings, immediately introduces us to the aforementioned vocal style with several bars of unaccompanied vocal before the band set out their sonic stall, a rich dense mesh of slightly distorted guitars over a sturdy rhythm section coloured by occasional violin (cue Kansas comparison) and flute (cue Jethro Tull comparison) from Unruh. This is the sound of a group of musicians perfectly at ease with their abilities and more interested in the whole than the individual. There’s no frantic shredding or agonised grimaces here, the feet stay well away from the monitors! What they manage to do is maintain their own distinct musical identity while throwing in all sorts of familiar sounding snippets from a diverse range of genres and bands. We get hints of Focus’ Hamburger Concerto in the middle of the title track, Train To Tucana sees a gypsy wedding band go metal, Little Lie melds Summertime with House Of The Rising Sun and Immigrant Song era Zep would have been proud of AnnihilExcavation. The only time I think that they slightly falter is on Atlantis’ Final Flight with it’s spoken lyrics (partly the transcript of a NASA communication) which strays a little too close to James T. Kirk territory for comfort, but is ultimately saved by a spacey backing worthy of the Ozrics.